Barcodes or OMR marks are added easily to your documents through an intuitive interface to ensure your documents reach their intended recipients. The same technology directs the system to collate, fold, insert and seal your communications using Neopost’s wide range of folder inserters. Most enterprises often send the same type of documents, for example invoices, with the same format to their customers. This involves manually configuring a document each time. Thanks to OMS-200 document output management software you no longer have to worry about spending time on this task as the built-in template mechanism automatically reproduces each step of your document preparation. And once a template has been created it can be applied to any documents uploaded to OMS-200. The OMS-200 merging capacity groups documents sharing one single criterion, such as customer ID, into a single communications piece. This ensures customers receive all their documents at once in the same envelope. 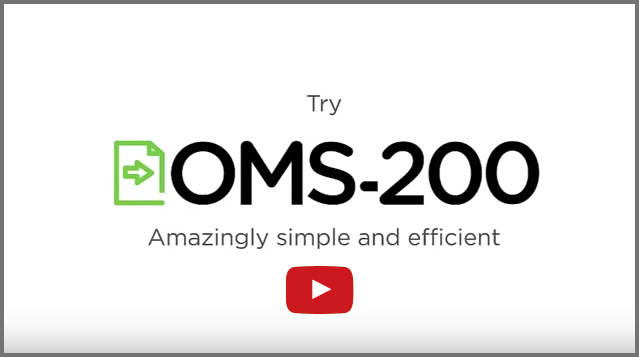 OMS-200 business document software enables you to sort documents, using one single criterion, helping you to optimize the way you handle postal rates.